With airfares increasing every year, travelers may find it difficult to travel due to budget constraints. Here are five cheaper ways to stay when on holiday. 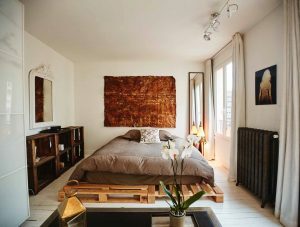 Short-term room rentals – Using Airbnb.com, Homestay.com, and 9flats.com, travelers can now rent a room in someone’s home, cottage or studio apartment. Most often prices are below $50 and are in convenient locations. However, if you don’t feel safe living in someone’s home, this will not be a good option for you. Religious housing – Religious housing can be affordable and in locations that will help you see the most important tourist locations in countries that have a religious history. Such locations will be clean and functional, but if you are looking for luxury, look elsewhere. Hostels – Hostels are great for travelers of all ages who are on a budget. Look at basic, private accommodation that offers a communal kitchen and washrooms facilities. Homestays – Look at organizing a homestay with long-established hospitality networks like Servas International, or CouchSurfing.com. If you’re looking to mix with the locals and meet new interesting people, this is the choice for you. Vacation rentals – Vacation rentals will allow you to rent a home or cottage, which can then be shared by your family and friends, making your accommodation much more affordable. The advantage of vacation rentals is that you will have a kitchen so that you can at least cook one meal at your rental, reducing your costs even further.